Engström came to us as Engström & Engström. A Swedish manufacturer of some of the finest hi-fi amplifiers in the world, the company had a good reputation among a small, niche group of audiophiles. We were tasked with updating the brand, establishing Engström as a leader in the field and helping it open up the world of super-hi-fi, making amazing sound accessible to more than just the super-rich. The Three Crowns (Tre Kronor) are the national emblem of Sweden, and one fitting for a leading brand that was truly Swedish in its approach to design and sound. As an uncle & nephew team of founders, Lars and Timo Engström are the well-balanced driving force of the brand, with Lars providing the engineering know-how and Timo the product design and Scandinavian aesthetic.  All of these elements - the founders, the Swedish crowns, the balance and Scandinavian simplicity - come together in a pure, geometrically sound identity. After establishing the brand pillars we made a conscious decision to avoid the word "audio" in all Engström copywriting, choosing instead to talk about "sound". Audio is technical term, implying that the sound is artificially reproduced. Since Engström's purpose is to bring sound back to life in its original, natural, purest form, we choose to always refer to it as sound. Sound is what you hear in a forest in Sweden, or coming from a live band. The term audio lacks that kind of soul. In addition to gearing the spirit of the brand towards Scandinavian Sound through pure, natural Scandinavian landscapes, we also directed a number of photoshoots to capture both the products and the production process in editorial-style black & white. Product photos serve as an authentic replacement for 3D renders, which did not embody the personal, natural, bespoke character of the brand. We designed and produced a 32-page brand booklet for Timo & Lars to hand out at the annual Munich High End audio show. The square format echoes the brand identity. Premium matt paper gives Engström an understated and natural edge in an industry that tends to go for gloss. The minimal content allows the photography to tell the story, keeps the pages spacious, and was a welcome breath of fresh air when competitors favour cramming as much technical information as possible into their print materials.